The second Tuesday of the month rolls around, and like clockwork, nonprofits across the country hit Publish on their monthly enewsletter. For better or for worse, because this is simply how it’s done – the second Tuesday of every month, they hit Publish. What if, just this once, you didn’t hit Publish? This month, I had a deer-in-the-headlights moment when I realized that our regularly scheduled enews was just days away and I had no news to share with our audience. But I had to get it out! It was on the calendar, so I had to publish it. Nonprofit marketers, when you are putting your enewsletters together (ideally well before the scheduled publish date and not at the last minute like me) do you find yourself grasping at straws? Do you sometimes include non-newsworthy topics because nothing much is going on and you’d rather send out a mediocre newsletter than no newsletter at all? May I ask why? If you don’t have anything of value to say, don’t say anything at all. A newsletter that doesn’t do at least one or two of those things doesn’t provide value to its readers. Send something uninteresting to your subscribers, and they’ll be, well, uninterested. So you need to come up with interesting content! Summertime can be a slow time for nonprofits, and it’s easier to justify ‘taking a break’ from communications. 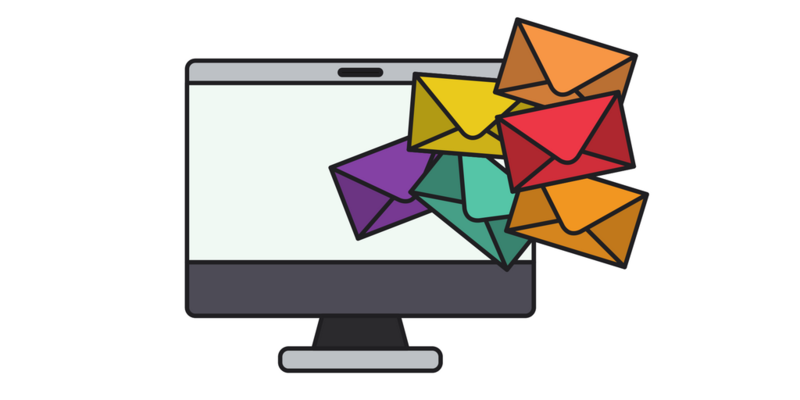 You might get away with delaying your enewsletter, but that doesn’t mean you’re off the hook from communicating with your supporters. A post from your blog. It doesn’t have to be a new one. You can update an old post or link to a newer one people may have missed. A short Q&A with someone who’s been impacted by your mission. Just two or three quick questions with a willing participant can be really appealing to your supporters. A sneak peek at an upcoming event. This can be your informal ‘save the date’ and you can share the full story in an upcoming email. Or, you can do what I did this month, and wait a few days. We didn’t have much news to share with our clients and friends this week, but we’ll have tons next week. If you give it a little time, chances are you’ll think of something, or some news will pop up that can’t wait until next month’s enews. It’s ok to push back your publication date to wait for quality content. Whatever you do, make your newsletter worth your readers’ time – and yours!